MulletMan is an endearing international performer based in the South Island of New Zealand. 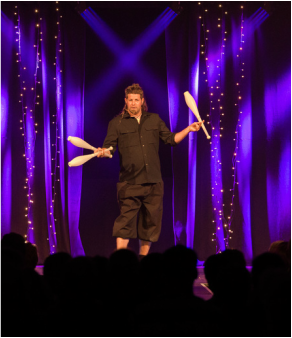 His award winning shows are a seductive style of genuine comedy with skillful, circus stunts. ​​​​​MulletMan has a particularly good Festival Style Street Show. Amongst his peers worldwide, MulletMan's show is considered very strong and robust. "MulletMan, named after his beautiful haircut, has a classic routine. He has got it down. The character, the delivery, the jokes, the audience participation. A well-oiled machine with perfect timing and tone. It's a juggling and unicycle routine that is a joy to behold. ​He is a brilliant performer and we are lucky to have him." 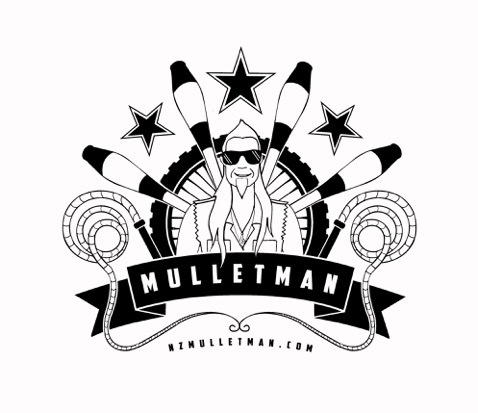 ​"MulletMan is a fantastic performer that we have had at several of our events as both MC and entertainer. With his unique style and genuine laugh out loud comedy, he offers an ability to not only entertain with his amazing circus style stunts but also smoothly link into the next act when acting as MC. We always have great audience feedback from his performances - hilarious, talented, a truely great performer that we are lucky to have based in New Zealand!" MulletMan thrilled the audience with a dazzling display of circus mastery.